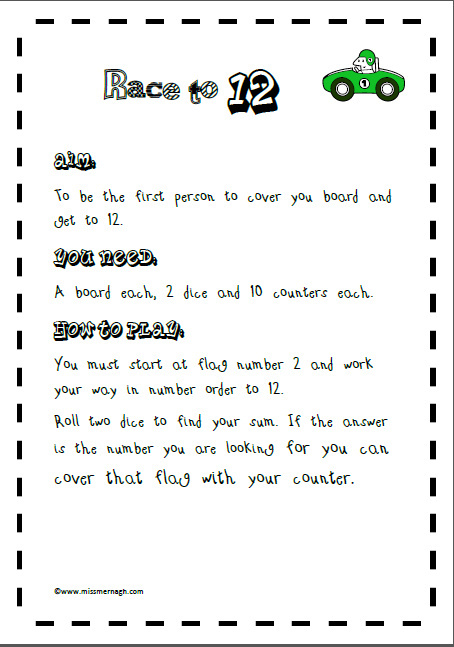 I am trying to make some “any time maths games” that my kids can just whip out and play. I occasionally get called out of my room for a meeting etc. and need to create some activities that can be organised at a moments notice. This is the first such game that I have created. This game has received the official seal of approval from my class! 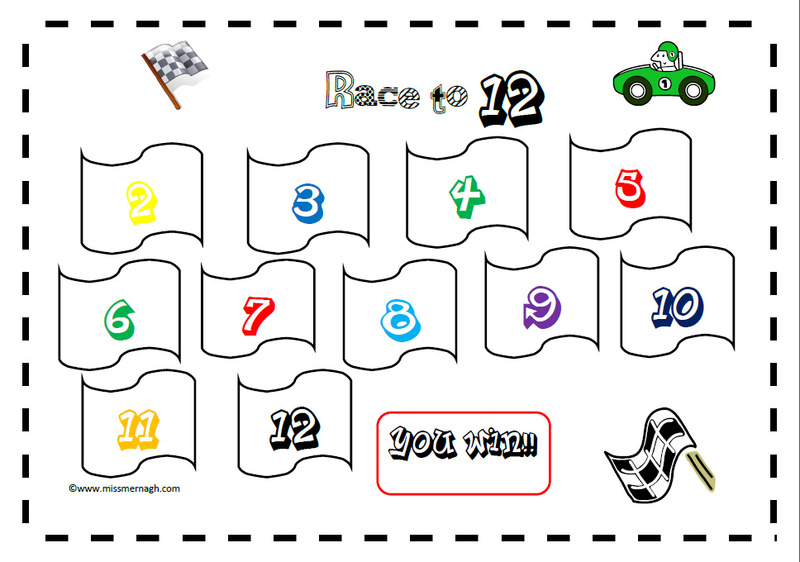 They prefer not to go in numerical order, however, as you can win quicker by covering numbers as you roll them! Whatever way you choose to play this game I hope that you enjoy it. Lots of learning from a tub!